Millions of people still lack a copy of God’s Word in their own language, but a new methodology by Wycliffe Associates is rapidly changing that. The villagers clutched pens and paper, eager with anticipation and excitement. But they took their task seriously, knowing that the name of Christ — and the souls of their people — were at stake. At 117 strong, this group of Christians had gathered in a Southeast Asian location for a special workshop on Bible translation. Their goal was simple: to give their people the first-ever Bible translated in their own language. Their enthusiasm was contagious … and convicting. More than 2,000 years after Christ walked the Earth and commanded His followers to “make disciples of all nations,” millions of people around the world still can’t read about Him. Of the 7,097 languages that are spoken, only 2,932 have the Bible translated in their language, according to data by the translation ministry Wycliffe Associates. The reason for that is both simple and complex, but progress — rapid progress — is being made. In 2014 Wycliffe Associates launched a new methodology that dramatically decreased the time it takes to translate Scripture from one language to another. Whereas in the past a single missionary often spent an entire career translating the Bible — sometimes taking 20 to 30 years to do so — the new method allows Bibles to be translated in as little as a few weeks. Even better: It doesn’t require computers. 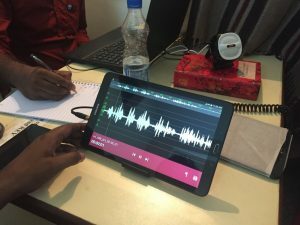 The method, dubbed “MAST” (Mobilized Assistance Supporting Translation), empowers local Christians to do the translating. They are trained on site at workshops by Wycliffe officials and then devote the ensuing weeks and months to the project. For the 117 Southeast Asian Christians, the method allowed them to have a copy of the Old Testament, in their language, in merely two weeks. The New Testament was completed by a smaller group of people in a similar time. MAST has impacted 730 languages during the three years it’s been used. Incredibly, the local Christians did it all by hand, meticulously translating Scripture the old-fashioned way, with pen and paper. and distribution of the text that is already translated. Wycliffe launched 315 new Bible translation projects last year and assisted in the completion of 58 New Testament translations — all using MAST. The organization plans on starting 400 new Bible translations this year, which just happens to be the organization’s 50th anniversary. “The time it takes to complete a translation,” Smith said, “depends on how many translators” are involved. Two years may seem like an eternity, but in the translation world, it’s tantamount to a speedy cheetah. Barely a decade ago, translations were taking far longer. The old model of translation — “one translator, one language, one lifetime,” as Smith describes it — had several weaknesses. First, it was slow. The missionary first had to learn the language and the culture before the translation even began. Second, it depended on limited foreign resources, which sometimes meant that the most-used languages got priority. Of the 7,097 languages in the world, some are spoken by only a few hundred people. 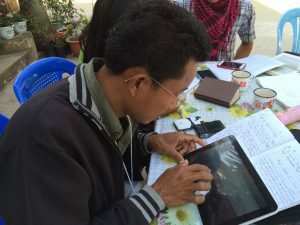 “A lot of these languages are languages that have been overlooked for Bible translation for a lot of years because they’re small or because they’re determined not to be strategic by a variety of people,” Smith said. The traditional model of translation, Smith said, is one of the reasons that millions of people still lack a Bible in their language. Technological advancements have played little role in MAST’s success stories. 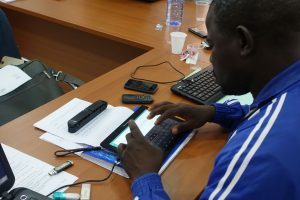 That’s because the skills and steps required to translate a Bible under the MAST model are independent of computers or the Internet. own language saved and ready for printing. But that doesn’t mean technology has played no role in translation. If a people group is largely illiterate — or if it has no written language — oral translations are employed. This involves recording a Bible in digital MP3 format, which is then transferred to and played on smartphones. Smith has considered the arguments against MAST but remains committed to the model. Fifty years ago this year, three men — Bill Butler, Dale Kietzman, and Rudy Renfer — examined the world of Bible translation and discovered a major problem. Bible translators, they noticed, were spending an inordinate amount of time on tasks that had nothing to do with translating God’s Word. And that, in turn, was delaying the translation of Scripture. So, the men did something about it, launching an organization called Wycliffe Associates. It was named for the famous 14th-century Bible translator John Wycliffe. For example, Wycliffe is helping churches in remote and dangerous parts of the world through a new technology it calls Print on Demand (POD), a high-speed digital printer that is large enough to print Bibles but small enough to be hidden in areas where Christianity is banned. Each POD costs about $15,000. Sometimes, PODs are used to print the very first Bible in a specific language. Of the 7,097 languages in the world, hundreds still lack a Bible. Smith is confident that within a few years, every language will have a Bible. For more information, visit WycliffeAssociates.org.